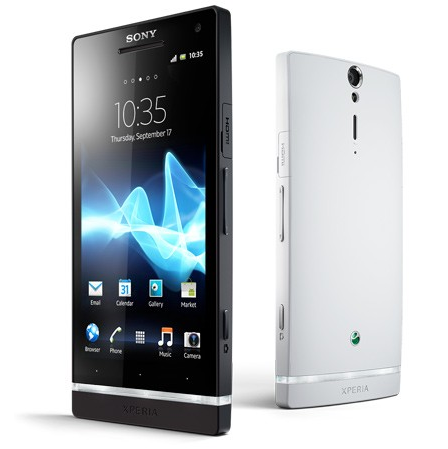 Owners of Sony Mobile's "WhiteMagic" phone, the Xperia P, have been stuck on pre-4.0 software for some time now. This, needless to say, was no fun at all. 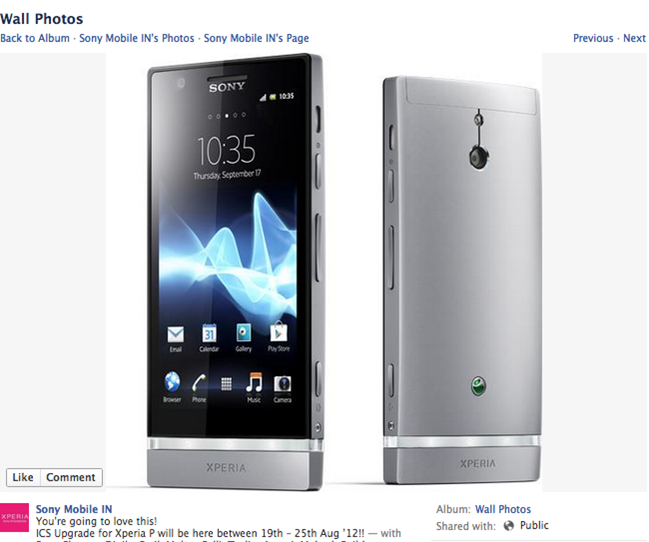 However, as can be seen in the above Facebook post from Sony Mobile India, the device will indeed be getting its proper serving of Ice Cream Sandwich sometime between August 19th and August 25th, just as expected. And now, the (two-week) wait begins for Xperia P users. Sony's portfolio of non-Ericsson branded phones has just received two more additions, though they aren't much more than variations than the already-announced Xperia S.
The Xperia P features: a 4-inch "WhiteMagic" display, optimized for viewability in direct sunlight (for comparison, the Xperia S has a 4.3" display). It also features a 1 GHz dual core processor, 8 megapixel camera, NFC, and HDMI connectivity. 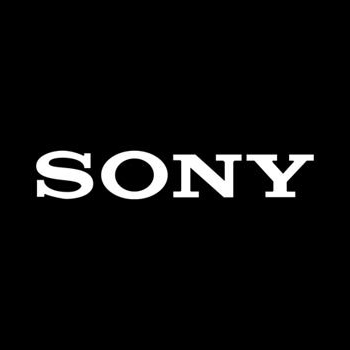 The Xperia P will also launch alongside the SmartDock, which allows content on the phone's screen to be streamed to a TV.